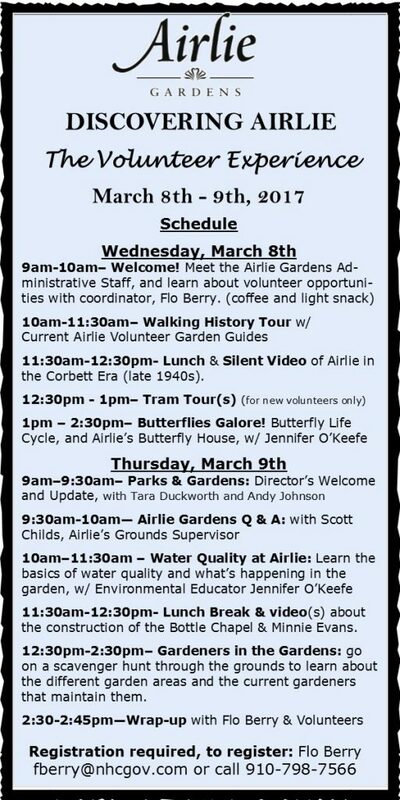 Calling all current and future Airlie Gardens Volunteers! You are invited to join us for a two-day experience in which you will “blossom” with the knowledge of Airlie’s History, Horticulture and Ecology, and learn how you can get involved! Participants must register in advance by 5pm on March 1st and must be at least 16 years of age to attend. Discoverers are not required to participate in all programs.